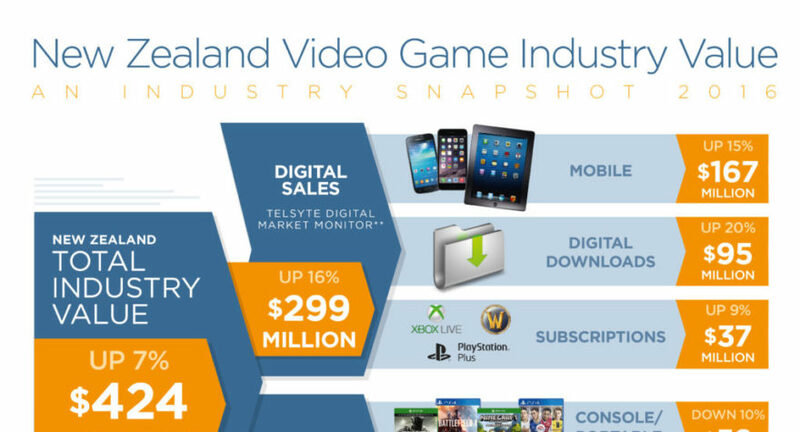 Auckland, New Zealand – 8 March 2017 – The New Zealand video and computer games industry generated $424 million in revenue in 2016, a seven per cent increase on 2015 sales. 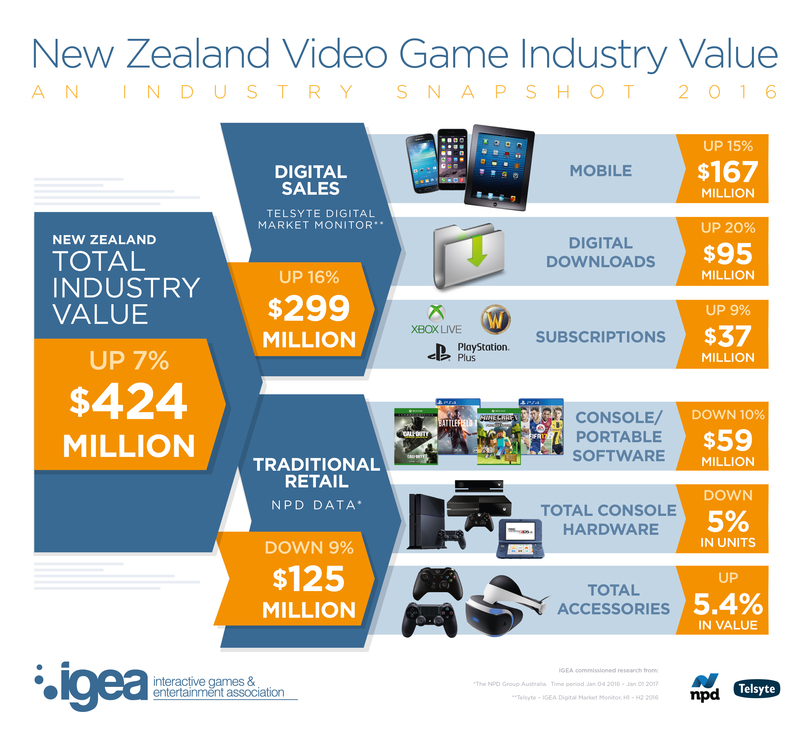 Data released today by the Interactive Games & Entertainment Association shows that New Zealand industry growth outpaced that of Australia, which experienced a four per cent increase in revenues last year. IGEA has created an infographic to support the 2016 New Zealand sales data, which you can download here.